I just noticed that my buddy Rob Wagner has posted Michael Stevenson’s review of the Wellbrook ALA1530S+ antenna. Michael does an excellent job describing the Wellbrook, its performance, and even includes comparison audio clips. Click here to read the full review. If you haven’t already, make sure you bookmark Rob’s excellent site! This entry was posted in Antennas, News, Reviews, Shortwave Radio and tagged Antennas, Magnetic Loop Antennas, Michael Stevenson, Rob Wagner, Wellbrook ALA1530S+ review on February 9, 2015 by Thomas. I’ve used various Wellbrook loops for years at the Washington coast, and they are great performers. On the lower frequencies, they can benefit from the added sea gain (aka “coastal effect”) that other antennas benefit from. More than a mile or so inland, however, the potential signal boost from being right at the beach starts to drop off dramatically. Even with the excellent 1m. diameter Wellbrook loops, “size matters” and if you can erect even a small ~8 X 8 ft. ALA100N or FLG100N Wellbrook loop you will generally enjoy better S/N ratio signals, especially for reall weak DX. The greater capture area of the wire loops is the difference. However, the portability of the 1m. loops can’t be beat. Over the years I’ve logged a lot of great tropical bands SW and foreign medium wave DX with Wellbrook loops of various types. Has anyone taken one mobile, perhaps on top of the car and tried it for mobile DX? I can see how a beach trip on either coast could really rake in the DX and yes, with a SDR, it would be a time machine. So anyone try this yet? Mark: This is a good question indeed. I should think the Wellbrook would be an ideal mobile HF antenna–not necessarily while in motion, but at picnic tables, campsite or, especially, on the coast. 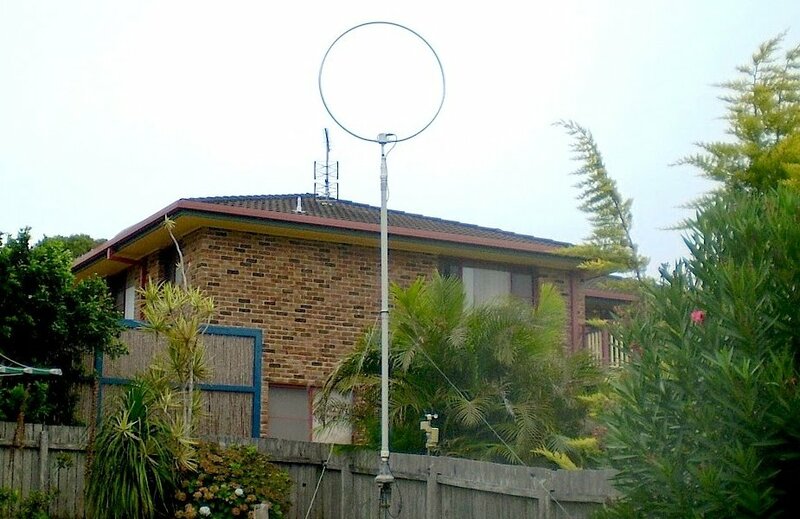 I would certainly be curious if anyone uses their Wellbrook as a field antenna.